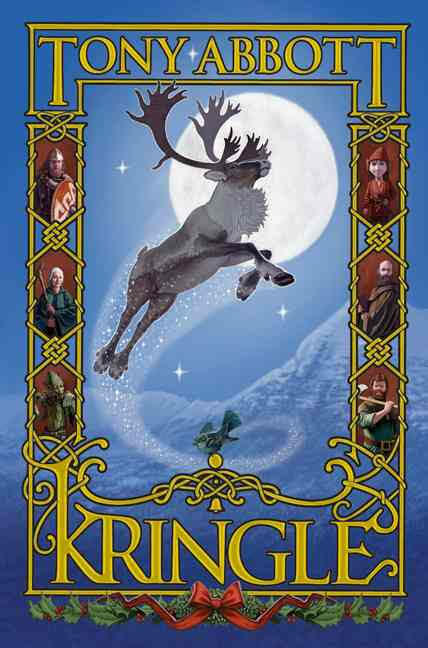 Kringle is an epic story, or really a series of epic stories woven together. 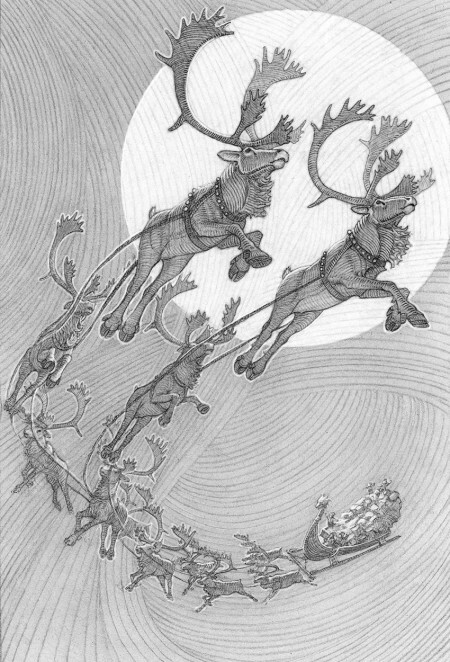 We have Kringle and the Goblins, Kringle and the pirates, Kringle and the magic sled, Kringle and the elves, and Kringle and Saint Alban. But what we have most of all is story and story at its finest. Madeline L'Engle says about the power of story: "We are all strangers in a strange land, longing for home, but not quite knowing what or where home is. We glimpse it sometimes in our dreams, or as we turn a corner, and suddenly there is a strange, sweet familiarity that vanishes almost as soon as it comes. In literature the longing for home is found in the many stories of paradise, of the forgotten place where we once belonged." This longing is filled through story, and as such, story encourages and challenges all aspects of spirituality, and if we allow it all aspects of life. This story has that power. Over the last six years I have read 22 books by Tony Abbott, spanning from young readers to some very good fiction. I have enjoyed many, reread a number with my children and loved a number of them. Yet even with saying all of that, his one is by far the best I have read yet. C.S. Lewis stated "It is very rarely that a middle-aged man finds an author who gives him, what he knew so often in his teens and twenties, the sense of having opened a new door." in On Stories: And Other Essays on Literature, and this book achieves that feat. This is not your typical retelling of the story of Kringle, Pere Noel, Father Christmas, Father Frost, Father Christmas that has been taken over and obscured by popular culture. Nor is it the retelling of Nicholas of Myra or Bari depending on the legends you know. But is melds the legends, into story and the story into truth that will speak to our hearts. This story is set in the early 400's as the Romans are pulling out of Britain , the pirates of Saxons were raiding aplenty, and hermits and holy men like Alban roamed the countryside. Into this time of darkness, the light of the elves is fading, and the darkness of the goblins rising. And into this battle is born one, an orphan from birth, named for the sound of a bell is Kringle. And the fate of all is wound with this young man, for by his faith and his determination he slowly figures out what is to be done and how to do it. The goblins have been getting bolder as the Romans retreat; they have a plan to take over the whole realm. To do this they are kidnapping children, and forcing them into slavery first in mines and then working a great war beast. For there is a prophecy of a child who will defeat the Goblin king and as such he is trying to get all children. Kringle as has been said has many adventures, and with the aid of friends and creatures is working to stop the goblins and save the children. This was an incredible read. Maybe the best fiction book I have read in a long, long time. The story is wonderful, the characters amazing and the attention to detail in the scenery and travels amazing. On a side note I tend not to read many physical books these days, and this has been in my to be read pile for a few years because it is only available in physical. But it is also a stunning book to hold and read. It has a full color hard back book, the pages are edged in golden gilding, there are a number of full page illustrations by Greg Call that would be amazing to have framed in my den. There are also numerous drawings throughout the book and Celtic knots across the top of each page. This book is an incredible read and I highly recommend it! Author profile interview with Tony Abbott.